Sygate Mill01263 715779work01603 870304fax Self-cateringSygate Mill, beautifully converted from a former grain mill and with lovely original features, is set on the outskirts of the village of Cawston in Norfolk next to the bungalow of the owner. Cawston is situated twelve miles from the city of Norwich, the coast of Sheringham, and only a few miles from two lovely market towns. 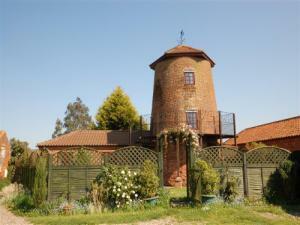 A skilful conversion of a former grain mill. Sygate Mill, beautifully converted from a former grain mill and with lovely original features, is set on the outskirts of the village of Cawston in Norfolk next to the bungalow of the owner. Cawston is situated twelve miles from the city of Norwich, the coast of Sheringham, and only a few miles from two lovely market towns.